Goddammit, I want a snail hat now. 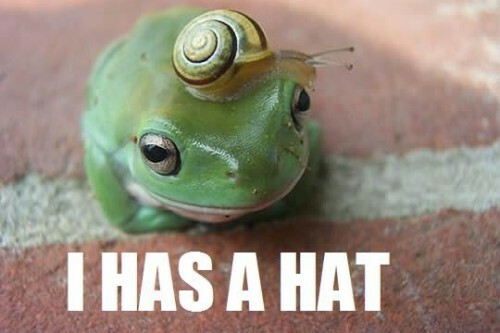 Why do frogs need hats? I wonder if the snail stays on in water. do snails get affected by hallucinogenic frogs? @KommissarKvC: How would you know?